PROVIDENCE — The tax breaks that Rhode Island grants to residents, consumers and businesses add up to some $1.6 billion a year. But with little information available to show whether the breaks are helping the economy or producing jobs, a freshman state lawmaker urged her colleagues Tuesday to try a new approach. Going forward, said Rep. Teresa Ann Tanzi, any new tax breaks should come with goals and objectives. And all breaks should be reviewed every five years, she said, to see if they are working or need to be tweaked or eliminated. The tax breaks — formally known as tax expenditures — include tax credits, such as those claimed by businesses for hiring new employees or making facilities handicapped accessible; tax exemptions, such as those applying to items not subject to the state sales tax; and tax deductions, such as those available to business owners who suffer a net operating loss. They totaled $1.67 billion during tax year 2008 — the latest for which data is available — which means they equaled about half of what the state collected in revenue. According to a 2010 report prepared by the state Department of Revenue, there were 227 tax breaks as of tax year 2008. Some had a stated purpose, but many did not, and there is no automatic review. 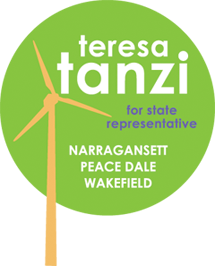 To provide more oversight, Tanzi is seeking support for two bills, one that would require any new tax breaks to have a stated purpose and performance indicators, and another that would require a review of all tax breaks within five years. Her supporters include two Republican cosponsors and advocates for labor and for the poor. While Rhode Island produces periodic reports that describe its tax breaks and estimate the forgone revenue, it does not go as far as states such as California, Delaware, Oregon and Washington, which also make sure there is a stated purpose and evaluate whether the breaks are a good investment, according to a table presented by Tanzi. Paul L. Dion, chief of the state’s Office of Revenue Analysis, said he could do more if he had at least one more staffer and better technology to analyze the numbers. He agreed there is merit to what Tanzi is proposing but cautioned that the actual analysis is often a multistep process that involves measuring how much the tax breaks paid back into the economy and how much that helped to create jobs. Tanzi acknowledged that the effort might require an up-front investment for new computer systems and more staff, but said the potential benefit would far outweigh the cost.